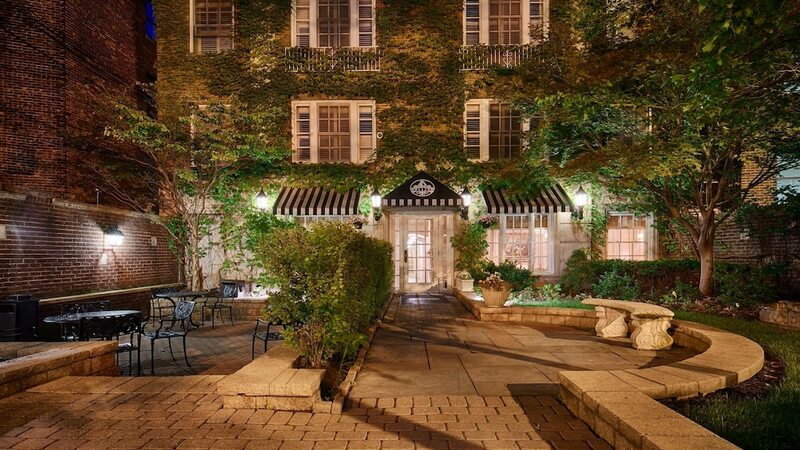 Located in Lakeview, Best Western Plus Hawthorne Terrace Hotel is a leisurely stroll from popular sights such as Briar Street Theatre and Lincoln Park. This hotel has 83 rooms and welcomes guests with conveniences like free breakfast, free in-room WiFi, and a fitness center. Free full breakfast is offered each morning. Savor a meal from the comfort of your room with room service. Guests can expect to find free WiFi and 42-inch a flat-screen TV with cable channels. The bathroom offers a rainfall showerhead, hair dryers, and free toiletries. Other standard amenities include a refrigerator, a microwave, and a coffee maker. Guests staying at Best Western Plus Hawthorne Terrace Hotel enjoy a fitness center, a spa tub, and a sauna. Self parking is offered for USD 25 per day. The front desk has multilingual staff on hand 24/7 to help with luggage storage, securing valuables, and tours or tickets. Additional amenities include free WiFi in public areas, a business center, and coffee/tea in a common area. In addition to a spa tub, Best Western Plus Hawthorne Terrace Hotel features a sauna and a fitness center. A computer station is located on site and wired and wireless Internet access is complimentary. A business center is on site. A complimentary breakfast is offered each morning. This business-friendly hotel also offers a terrace, tour/ticket assistance, and multilingual staff. Parking is available onsite for a surcharge. Best Western Plus Hawthorne Terrace Hotel has designated areas for smoking. Best Western Plus Hawthorne Terrace Hotel offers 83 air-conditioned accommodations with laptop-compatible safes and complimentary bottled water. 42-inch flat-screen televisions come with premium cable channels. Guests can make use of the in-room refrigerators, microwaves, and coffee/tea makers. Bathrooms include showers with rainfall showerheads, complimentary toiletries, and hair dryers. This Chicago hotel provides complimentary wireless Internet access. Business-friendly amenities include desks and complimentary weekday newspapers, as well as phones; free local calls are provided (restrictions may apply). Additionally, rooms include irons/ironing boards and blackout drapes/curtains. Housekeeping is provided daily. Start your morning with a free full breakfast, available each day of your stay. Room service is available during limited hours.